This is the last of the three healthy drink recipes that I created for BRITA and it is definitely my favorite! I am planning on sipping this tropical agua fresca all summer long. Agua frescas are fruity but refreshing flavoured waters popular in Mexico. Served ice-cold, they are thirst-quenching with a hint of sweetness. This version is made with coconut water, rich in potassium, calcium and magnesium. To keep the drink fresh and light, the fruit is used to infuse the water, and “jewelled” fruit ice cubes dress up the drink. First, make the fruit ice cubes. Place the pomegranate seeds and blueberries in an empty ice cube tray, fill with BRITA filtered water and freeze. To make the agua fresca, place the lime, orange, mango and honey in a large jug and bash well with a wooden spoon to blend and release the juices. Add the coconut water and stir well. The drink can be refrigerated for up to 48 hours at this point. Photo in this post courtesy of Iris Worldwide. As I mentioned in my last post, I have been working on some healthy drink recipes for kids using BRITA filtered water. In my practice, I recommend that all of my clients stick to water as their default drink. Drinking plain filtered tap water is an excellent habit to adopt, especially for children who will hopefully keep up the habit of drinking water for the rest of their lives. However, in life there are always occasions when a special treat is called for – a birthday, a party, to cheer up a rainy day or to make a picnic even more special. The recipes I have created for BRITA are intended to taste delicious and satisfying, but remain a healthy choice. 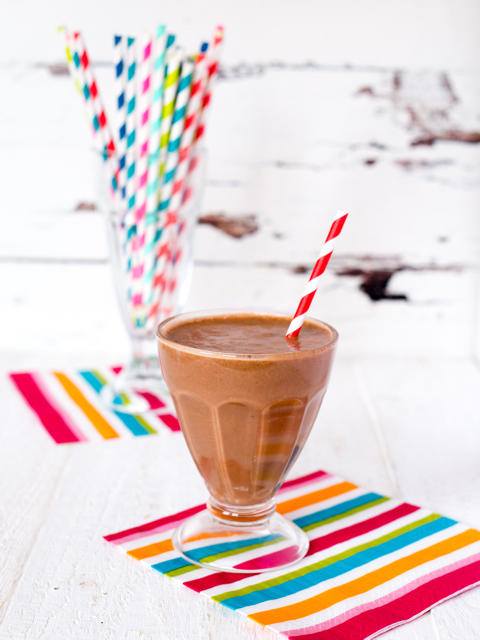 This week I am sharing a chocolate coconut milkshake recipe. This thick and creamy milkshake is made with coconut milk, which contains healthy fats and provides a great alternative to cow’s milk, and also has protein-rich cashew butter as an ingredient. The milkshake’s sweet taste comes not from refined sugar, but from dates and bananas. I’m sure your kids will enjoy whipping this one up with you. Combine all of the ingredients except the water in a blender and blitz until smooth. Very gradually add the water until a drinkable consistency is obtained (you may not need to use all of the water). I was very excited to be asked by BRITA water filters to develop a series of healthy drink recipes for kids. I’ve used my BRITA filter every day for many years, and it is a product I really believe in. 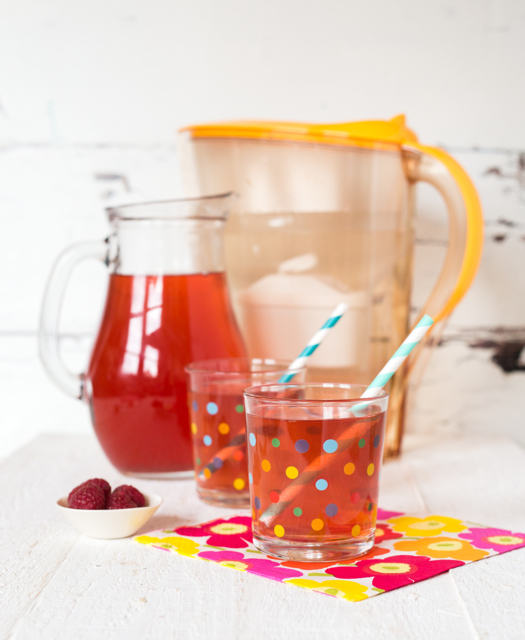 BRITA has shared my three child-friendly healthy drink recipes with parenting websites and bloggers, who were invited to whip up the recipes themselves and publish their results. 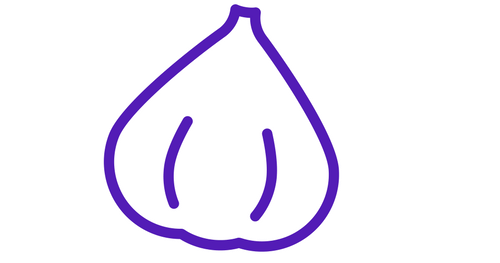 Some of the blogs that participated include Everything Mummy, The Ana Mum Diary, Whole Heartedly Healthy and Food for Kids. 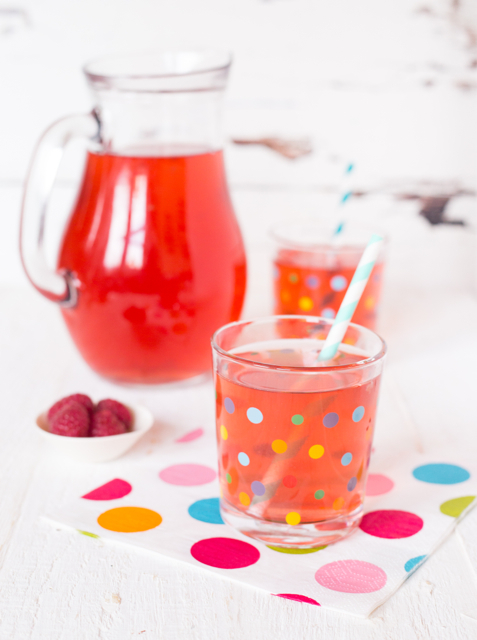 Here is the recipe for my first BRITA drink, a berry fizz. Not all fizzy drinks have to be unhealthy! This one is packed with flavor but without all of the sugar and other nasties in branded soda. 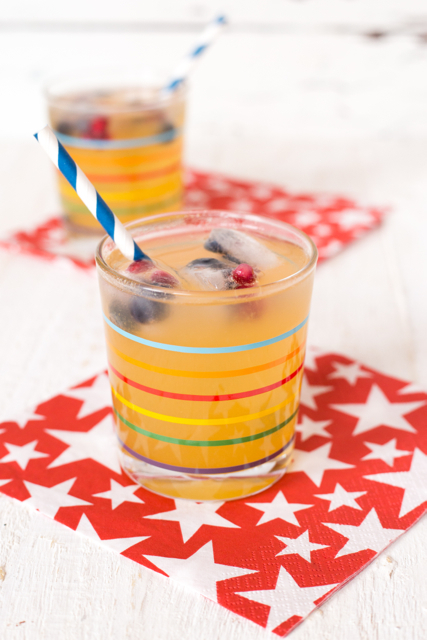 The raspberries in this Berry Fizz are rich in anti-oxidants and vitamin C, and the Berry Fizz is sweetened just with maple syrup (or you can use honey instead if you prefer). Boil 200 ml BRITA filtered water, and use it to steep the teabags in a pan that can go on the hob. After steeping for 15 minutes, remove the teabags and add the raspberries and maple syrup. Bring to the boil on the hob, then simmer for 10 minutes stirring regularly. Strain through a mesh sieve, cool and refrigerate until ready to use. To serve, divide the raspberry syrup into two glasses. Then top up each glass with the carbonated water (or soda water), about 100 ml or to taste. All photos in this post courtesy of Iris Worldwide.